Illinois is a major hub for passenger bus transportation. Whether it is children taking a school bus, CTA bus riders, or passengers on an interstate bus trip, thousands of people in Illinois rely on bus transportation each and every day. Major bus transportation providers such as Megabus, Greyhound, CTA, PACE and others carry thousands of people throughout Illinois each day. When someone gets onto a bus, he or she trusts that the driver is properly licensed, well-rested and ready to operate the bus in the safest way possible to protect the safety of all passengers. A bus passenger also trusts that the vehicle has been properly inspected and designed, and that all parts of the bus are fully operational. However, bus accidents do occur, and oftentimes they are the result of negligence on the part of the bus driver, bus company or bus manufacturer. If you have been seriously injured in an Illinois bus accident, you may be able to take action to hold any and all wrongdoers accountable. If your life has been turned upside down by a bus crash you may need the help of our skilled & experienced bus accident lawyers. Contact us today and we will work hard to get you the settlement that you deserve. Enlist an Expert Bus Accident Attorney! When you need a skilled bus accident attorney with the leverage of over 35 years of legal experience – Call Schaffner Rabinowitz & Feinartz, PC! 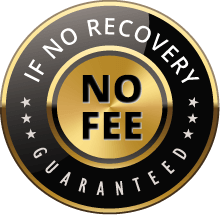 Plus, you pay NO FEE unless our attorneys are successful in settling or litigating your bus accident case! You don’t have to go downtown to get experienced legal representation of the highest quality. We have collected millions of dollars for our clients.